Though you could just simply go to Facebook apps and click on TOP GAMES just to find out the top games on Facebook, but this is my personal top Facebook games - and that means these games are the games I play and I am currently playing. And yes, I do play games (on Facebook). It's how I simply relax, spend my leisure time, and make myself stop thinking of work. It's hard when you're working at home, every time you see your computer, you see work. So, that's why I play games because I'm becoming too workaholic sometimes that some people are afraid that I'll take over their jobs. LOL. This is my first top Facebook games list, and I'll try my best to make it simple for everyone. I'll also be having some Facebook games reviews which is I'm trying to fit it all in, since I won't be making money from it anyway. LOL. I believe this is one of the favorite Facebook games of most people but most of my friends on Facebook does not play this - and I dunno why - but I'm playing it. What I like about this game though is that it's somewhat like World of Warcraft, but cute version. Or maybe it's more appropriate to compare it to Red Alert (OMG! I'm so oldies!). It's simply having soldiers train, with more advanced skills like instead of normal soldiers, there's a new training academy for you to build to train soldiers with bazooka (boom baby!). I've played this game for about 2 weeks already, it's a good game for me. But due to resources (gold, wood, steel, oil) you'll be spending some few bucks if you're not patient - and that's if you want to spend your money. Also, what disappoint me in this game is that it loads SO SLOW. I have to refresh the browser (Chrome) twice, for me to be able to play the game. That's one of the reasons why, I don't play the game much and lost some interest. But then again, it's a good game. I recommend this for the boys, if you love DOTA, Red Alert, then probably you'll love this game. Most of my friends who are playing this are boys actually. 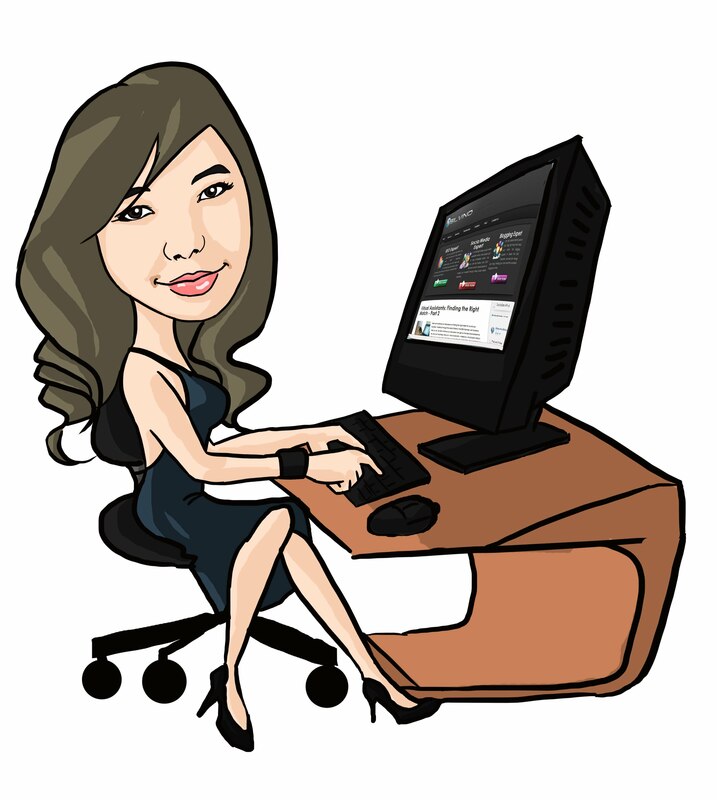 I'll give you more input and review about this Facebook game very soon here in Bloggers Tech blog. This is a game that I believe has the same creator with Social Wars, it's not that really attractive graphics but with dinosaurs and a combination of RPG and strategies it's also a good game. My niece, Ella, love dinosaurs and every time she sees me playing this game she just want to take over the computer and play it herself. But I'm having problems in explaining her what is BREEDING (yeah, I think her parents should talk to her about that), and other stuff that is hard to explain to a 4 years old kid. Again, since they have the same creator with Social Wars, this game is also slow in loading the game. This is even worse because even though the game is loaded, the graphics (e.g. your house, dinosaurs) are not loaded yet. You have to wait a bit more to let the graphics load too. Also, I'm impatient and so from time to time I get to spend some few bucks just to be able to hatch an egg, feed the dinosaurs, etc. So just a warning on that part. I think I've been playing this game for about months already (more or less about 4-5 months) and at first I've enjoyed it but as time passes by, it's too repetitive and boring. Not too much challenges since ON THE GAME or tournament all you have to do is bat. The tricky part of this game is that being able to arrange your players and enhancing your players, which I'll share with everyone soon here in the blog through my Baseball Heroes review - coming soon! I was not really attracted with this game at first, another ANCIENT role playing game. But then out of curiousity I played it. I had great fun at first - because they make a baby, the girl gives birth, you must supply some fun stuff, food, etc. One of my problem on this game is that again, it loads too slow - and obviously I hate that. Also, it's too expensive. One key (used in unlocking some supplies) is 25 Gold and with your $5 you get 100 gold, so for $5 you get only 4 keys, and 4 keys unlock 2 or 1 supplies. And that's why it's too expensive for me. I've got lots of tips to share on this Facebook game though, since I'm already level 36 and still playing it. But as time goes by, it's boring, repetitive and no more challenges. All you have to do is supply and make them happy - duh! I've been playing this game for 3 days already and so far I like it. It's quiet similar to Chefville but this one is a store and not a restaurant. It's where you give customers some goods for them to buy, order it from suppliers, make your store bigger (and aiming for a mall - maybe?). In 3 days, I've only spend $1 and got lots of stuff from my $1 - and that's because there's new deal that they have which I grab to see how much and what I could buy from my $1. The thing is, if you're a busy person, then don't go for this game. You'll surely get addicted and become worries if your supplies are out. I think its okay if you're busy and can control your addiction, but just to warn you this game can be addictive. And that's all of it. 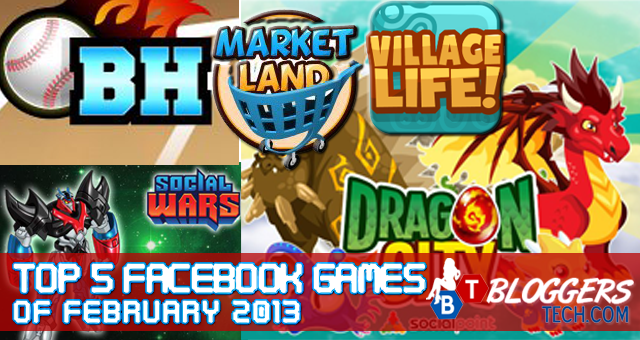 My top 5 Facebook games of February 2013 and I'm not sure if we'll have a monthly check on this since sometimes there are new games after months, so let's just see. Watch out for my Facebook game reviews coming up here in Bloggers Tech very soon!